When the first Sunday Times Rich List was published in 1989, Queen Elizabeth was at the top of the list. She’s slid down it now to a position below celebrities like Harry Potter author JK Rowling, but she obviously remains one of the wealthiest people in the United Kingdom. Although she’s no longer at the top it’s still worth us looking into the Queen Elizabeth net worth figure and how it’s made up. 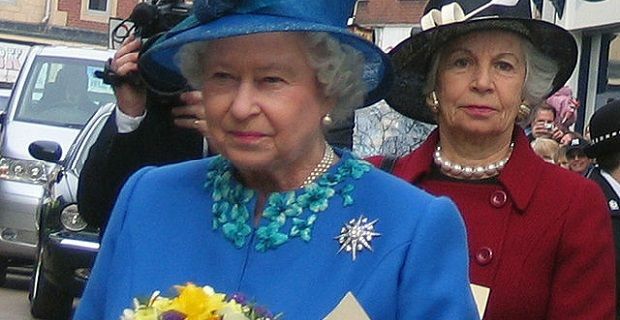 The Queen is reportedly worth £330 million. It makes her the 285th richest person in the UK. Simon Cowell has only £30 million less than her, so he’s probably another who will overtake her in a few years. She has lots of assets as you’d expect after so many decades on the throne. In terms of property, she owns Balmoral Castle in the Scottish Highlands as well as stud farms, fruit farms and marine land throughout the UK. An enviable collection of some of the world’s greatest art and some of its finest jewellery also add to her wealth. She’s also a stamp collector with a collection that’s worth a mint. Strange considering that some of them must be little more than miniature pictures of herself. These assets that she gets to enjoy in her lifetime don’t add to her private wealth, so Buckingham Palace, which is obviously priceless, and the Royal Art Collection, which is equally valuable, are not considered when her net worth is calculated but she gets the benefit of them. Although the Queen’s the head of the family, she’s not the only ones who’s loaded. Her grandchildren, Prince William and Prince Harry were left £6million each by their mother when she passed away. Although Prince William only pockets £40,000 from his duties with the Royal Air Force, he also gets an annual dividend of £276,000 and probably doesn’t have to pay rent for the 20 room apartment he shares with his wife and kid at Kensington Palace.